Your big day wouldn’t be complete without your love ones and friends, so invite them with our sweet Purple Wedding Invitations. 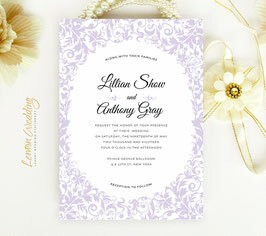 Our beautifully designed wedding invite will effortlessly inform your guests of the wedding details. 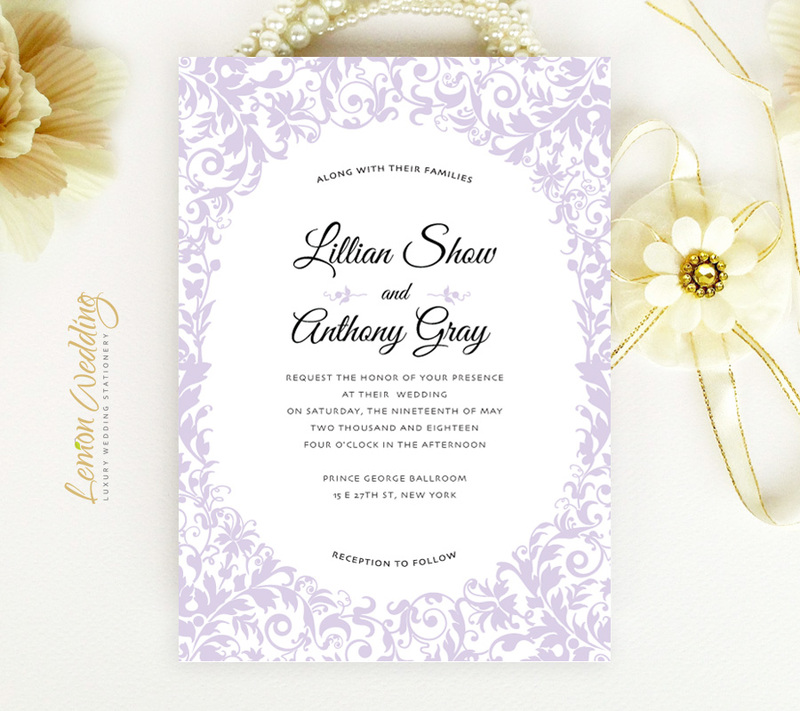 Surrounded by a purple lace patterned border, our invites are printed on premium white premium card stock.